The physician's practice of UT Health San Antonio provides comprehensive treatment options for glaucoma. 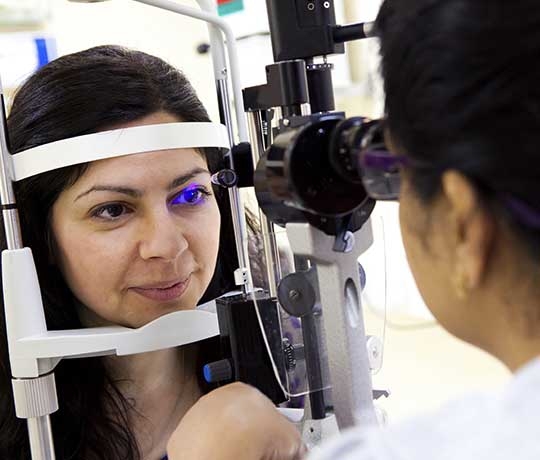 There are a number of ways to treat glaucoma. The most common treatment is medicated eye drops. These eye drops reduce eye pressure by lowering the amount of fluid created in the eye, or by helping the fluid evacuate out of the eye through a drainage angle. Patients will be asked by the glaucoma specialist to use these drops daily and follow-up with their ophthalmologist every three to six months, depending on their individual treatment needs. Surgery may be recommended for some patients to reduce eye pressure by improving the flow of fluid out of the eye. UT Medicine's Ophthalmology practice is located at the Medical Arts & Research Center, on the sixth floor.